Just a warning, there will be spoilers in this retrospective of Livin’ Da Dream, so if you haven’t yet played through the story and would like to experience it for yourself, check back in after you’ve done so. With that being said, after an intro from Spike Lee himself, we’re introduced to this year’s protagonist and MyPLAYER avatar: standout high school player from Harlem, Frequency Vibrations, or Freq for short. We find out that the nickname comes from the way he dances; “freakin’ and vibin'” as his mother, Martha, describes it. We also find out that he has a father, Pete, twin sister, Cee-Cee, and a childhood friend who is like a brother to him, Vic Van Lier. 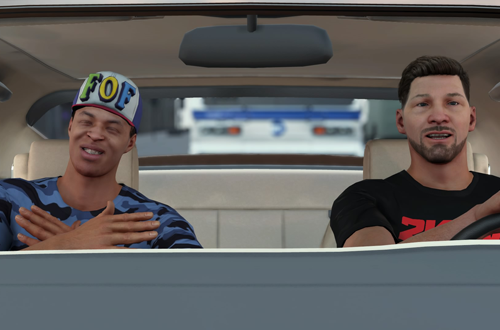 Beginning the story during Freq’s high school years added a new dimension to the MyCAREER experience. In previous games, the mode began with a rookie showcase prior to the NBA Draft, offering gamers one chance to improve their Draft stock and influence the team that picks them. Livin’ Da Dream spends more time on the journey to the NBA, as we guide Freq through some of his final high school games, and then select where he goes to college. We play some of the key games in his college career, after which he declares for the Draft and makes it to the NBA. Along the way, Freq meets his girlfriend, Yvette, enlists Cee-Cee as his manager, and has to deal with Vic. In many respects, Livin’ Da Dream spotlights the dark side of being a highly touted prospect trying to achieve your goal of becoming a star in the NBA. It’s possible to draw many parallels with Spike Lee’s movie starring Ray Allen, He Got Game. Freq’s agent Dom Pagnotti is even from He Got Game, with Al Palagonia reprising the role as he lends his likeness and voice to the character. The main conflict revolves around Vic being a detriment to Freq’s career, due to his spending habits and legal problems. It’s revealed he once took the blame for an incident involving Freq that resulted in the accidental death of someone they had been arguing with. Again, it’s quite a dark tale! Vic’s behaviour, and Freq’s refusal to permanently cut ties with him, places the latter’s NBA career in jeopardy. No matter how well Freq plays – and the cutscenes always assume that you are in fact a star in the making – these off-court distractions lead the owner of the team to bluntly tell Freq that they’re letting him go after the season, and warns that his reputation around the NBA is tarnished. He finally distances himself from Vic, but as Freq signs a new deal, he receives a phone call informing him that Vic was killed after a high speed chase, while driving the car that he borrowed from Freq. 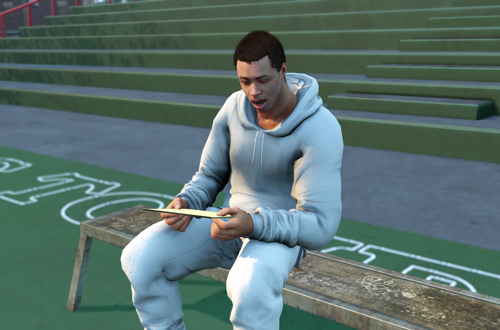 In the epilogue, Vic’s ghost reads a letter, explaining his tragic back story. Suffice to say, it’s a deeper, more intense and powerful story than the ones that were told in NBA 2K14 and NBA 2K15. With Spike Lee’s writing and direction, along with mo-capping the actors including Sarunas J. Jackson, Wade F. Wilson, Michelle Mitchenor, and the aforementioned Al Palagonia as they performed the cutscenes, the production values are impressive. 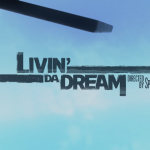 Livin’ Da Dream plays out like a movie, with a story that you wouldn’t expect to see represented in NBA 2K. It was a massive step forward as far as a story-driven MyCAREER mode was concerned, but its approach was also problematic from both a gameplay and role-playing standpoint. The specific characters Spike Lee had in mind didn’t necessarily gel with the concept of a sports RPG in which you’re invited to take the starring role, even scanning your face into the game. As evidenced by the casting of Jackson as Freq, and the actors who play his family, he’s intended to be black. Therefore, if you create a player that’s white, Asian, or Hispanic, the cutscenes end up looking like Spike Lee has made the strangest casting choice in the history of film! This needn’t have been an issue had Freq’s family also changed appearance according to your customisation, as your father James does in Fallout 3. Unfortunately they don’t, so it can end up looking very weird. To that end, many gamers created a black player regardless of their own ancestry, just to fit in with the story and ensure the cutscenes didn’t look silly. I couldn’t get the scan to work at all, instead opting for the pasty Neanderthal you see in the screenshots, for my player’s created face. My cutscenes therefore looked ridiculous, but there’s a much bigger problem with the story: it’s too linear. There are no meaningful choices as the high school and college you pick are basically cosmetic, and you can’t stay in college for more than one year. You also don’t get to choose whether you stand by Vic, or cut him loose to save your career. The story is very much on rails, with no branching. This frustrated a lot of people who found Vic annoying and wanted to have a greater amount of control over their destiny. At the end of the day, however, the biggest issue with the story was that the cutscene to gameplay ratio was skewed heavily towards the former. In your rookie season, you play three high school games, four college games, and eight NBA games (nine if you make the Playoffs). Simply put, there wasn’t nearly enough of a gameplay experience. Some really cool stuff was added to MyCAREER in NBA 2K16, but you had to go through Livin’ Da Dream to get to it in Year 2. Even if you liked the linear story, most gamers didn’t approve of the lack of gameplay. Although MyCAREER still lacks meaningful choices and the narrative is often at odds with the gameplay, Livin’ Da Dream did prove to be a learning experience for 2K. Subsequent stories have allowed you to play your entire rookie season, and in the case of NBA 2K19, the story ends with you making it to the NBA. Both stories and characters are far more one-size-fits-all, avoiding cutscenes where your player looks bafflingly miscast. While the continued presence of a story isn’t to everyone’s liking, it’s far less intrusive to the gameplay experience, and the stories in NBA 2K17 and NBA 2K19 have been rather good and entertaining (let’s not get into NBA 2K18). Of course, Livin’ Da Dream paved the way for their success. It was innovative in the way it began the story well before the NBA Draft, and it was fun to play high school and college games; especially as the latter seemed impossible with the downfall of NCAA titles. The increased production values along with better writing and acting made for fewer cringe-worthy and unintentionally hilarious moments. While the story does have its flaws, it was interesting to see such a dark tale in a basketball video game. Working with Spike Lee was also a very big deal to say the least, and further solidified NBA 2K’s mainstream popularity and pop culture relevance. With that in mind, my attitude towards Livin’ Da Dream has softened in recent years. At the very least, I can appreciate what it tried to do, and how it was a continuation of MyCAREER’s evolution. I do think it would’ve benefitted from having meaningful choices – such as choosing whether or not to stand by Vic – resulting in a couple of alternate endings. The abbreviated rookie season was also a mistake, and I’m glad they corrected course in that regard. Gripes aside, it was an admirable effort. The debate as to whether video games are art or not rages on, but if nothing else, Livin’ Da Dream demonstrated that they are a viable storytelling medium, regardless of genre.